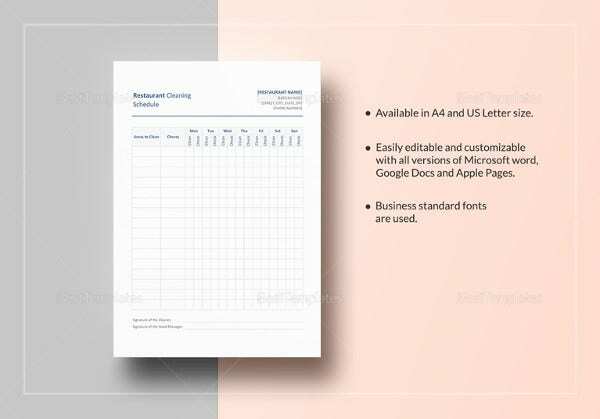 Restaurant Schedule Templates – 11+ Free Word, Excel, PDF Format Download! Running a restaurant is a daunting task, however if there is systematic order in place, the pressures ease out a bit. A restaurant has good number of staff and personnel, and managing them becomes easier if there is a restaurant schedule in place. 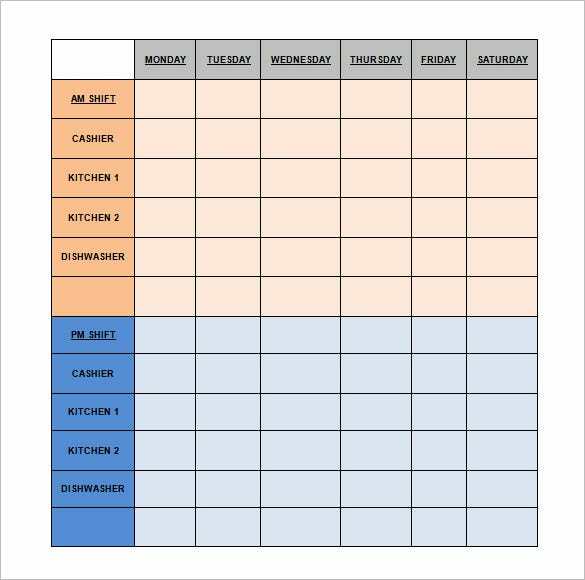 Here we have compiled a lineup of restaurant schedule templates which you can customize and draft the weekly timetable of employees in a jiffy. 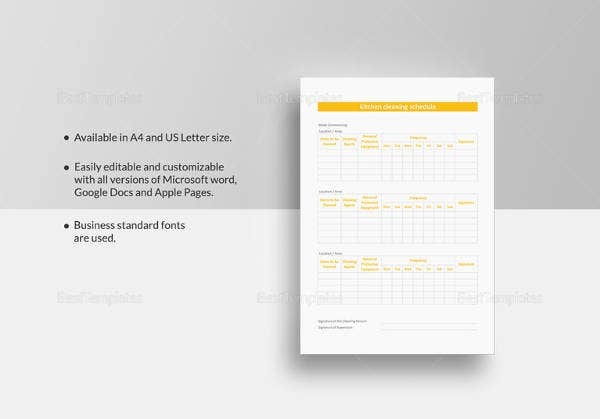 All the template designs are editable in all aspects.You can also see Meeting Schedule Template. 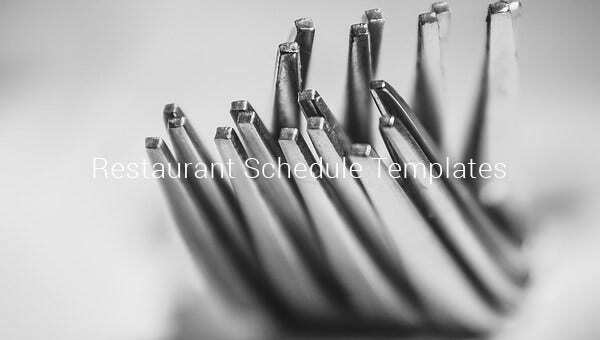 businessformtemplate.com | This is a very simple and straightforward restaurant schedule template which you can easily edit and customize to create a well-organized shifts roster for your working personnel through the week. The first-half of the template shows the day-shift and the other half is for employees who will work the evening hours till closing. wetrainhotels.com | With this restaurant schedule template it is going to be very easy to keep track of employees’ ins and outs, and total paid hours. The template is in tabular format. 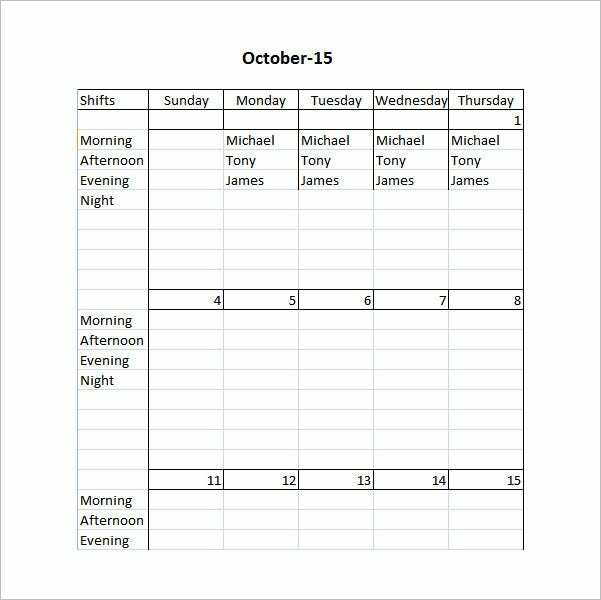 You can list down the names of employees in the first column, and the following columns contains the days and dates of the week and total work hours respectively. 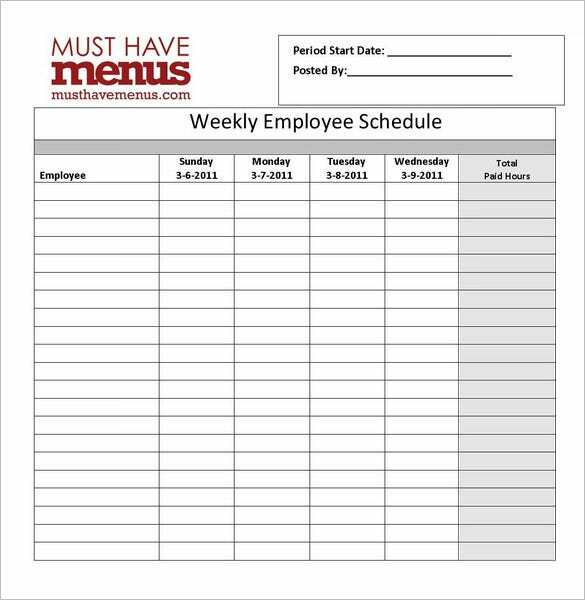 This is a smart template to manage weekly paid employees at restaurants. Restaurant weekly employee Schedule form provides columns with employee name as per the days and total paid hours. 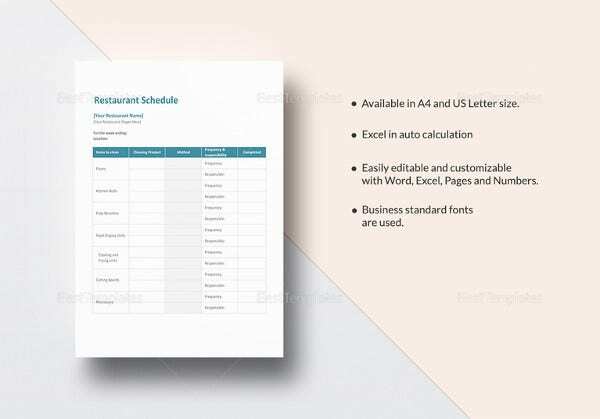 If you’re looking for restaurant schedule templates which an hourly format, then this template is just perfect. This template comprises of a restaurant hourly labor schedule. With this, you can conveniently keep tabs on the labor hour of each and every personnel and respective wages for the same. The break-up of hours is divided into lunch and dinner times. This is a simple yet very well-designed restaurant cleaning schedule template. 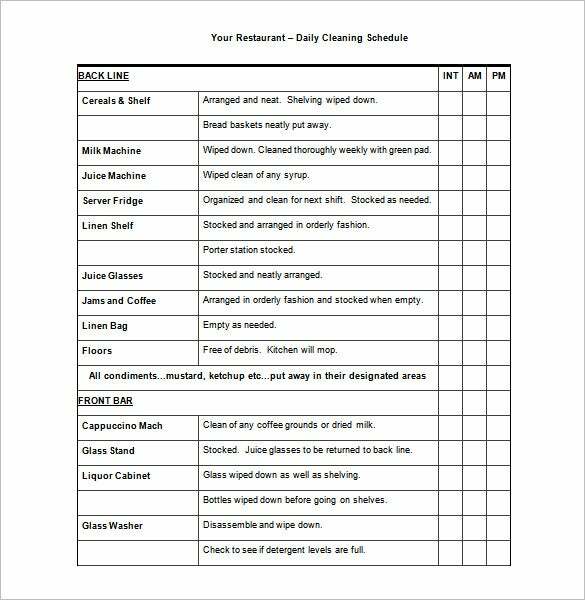 This can be a very handy valuable document which easily lets you keep tabs on the activity and frequency of your restaurant’s cleaning staff. The template has allotted spaces in different blocks for methods, cleaning products and regularity and responsibility. 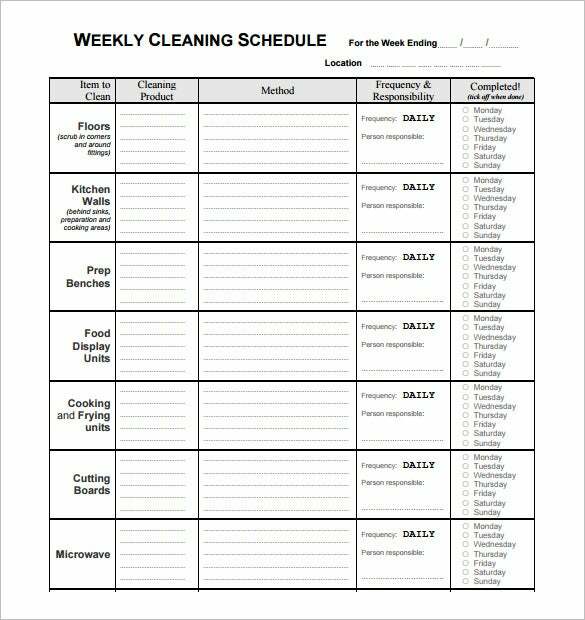 This weekly cleaning restaurant schedule template has space for particular cleaning areas with blocks for methods, cleaning products and frequency and responsibility. It also has a column for daily checks. In order to run a restaurant smoothly, it is very vital that it is equipped with good-quality management tools and software. 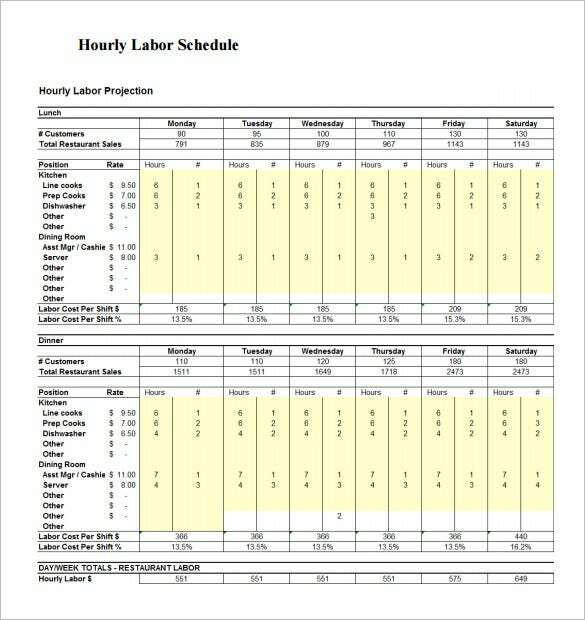 Every restaurant needs a meticulous scheduling system, which includes employee details and organized shift-rosters. A top-of-the-line restaurant schedule template is just what is needed to make all these things happen. If you’re opting for a software to do the management work for you, then make sure the application you choose has well-designed spreadsheets which contains tracking tools for daily work hours and total duration of employees . The application must also be wired with a system which facilitates employees to easily input their availability and leave days’ requests. Applications are also available wherein all important announcements and restaurant updates are directly sent to employees on email. 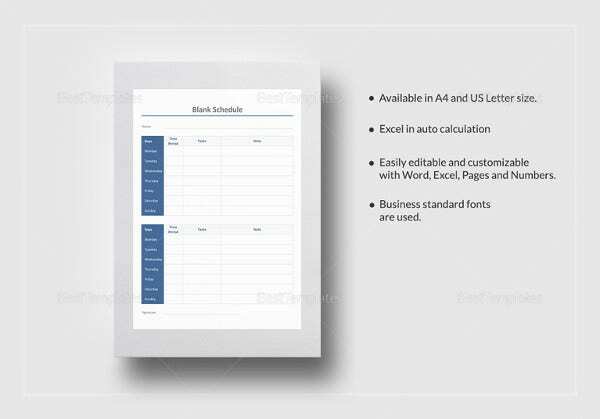 To get a restaurant schedule template is not very difficult as they are available in various designs in abundance on the Internet. 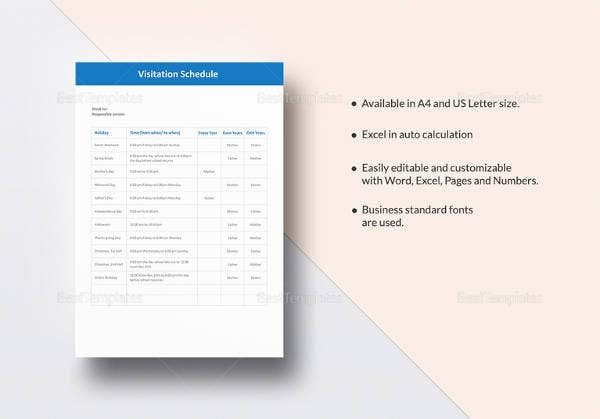 Most of them are free of cost, however you may have to pay a premium cost for the more high-end restaurant labor management applications. You just need to know where to look! If you have any DMCA issues on this post, please contact us!